There may be some of you who’re currently using iPhone 4 or 3GS and want to update to iOS 6.1.3. You can preserve the baseband through Sn0wbreeze 2.9.14. The solution can then be used to unlock your iPhone 4 or 3GS (pre-A5) iPhone model through ultrasn0w, Gevey SIM or IMEI unlock on iOS 6.1.3 firmware. There is no way that a software method can downgrade the baseband of your phone, with iPhone 3GS being an exception. One the baseband gets updated, you’re likely stuck. Sn0wbreeze can’t offer an unlock solution, but is only used to preserve the baseband after a custom firmware is built. The 2.9.14 version for sn0wbreeze is for Window only and offers a tethered jailbreak for iPhone 4 and other old models. iPhone 5 and 4S don’t currently work while 3GS is untethered on old bootrom. Ultrasn0w 1.2.8 (only for compatible basebands). iPhone 4 baseband 01.59.00 (that ultrasn0w supports), or 03.10.01, 02.10.4, 04.10.01 (Gevey SIM unlock method). 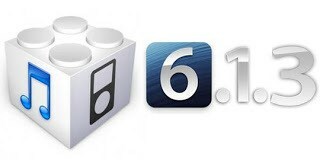 iPhone 3GS is also for the solution on basebands 05.12.01, 05.13.04, 05.11.07 and also the famous iPad baseband 06.15.00. Important note: Remember to back up your files before you start with any such guide. Step 1: Download IPSW for iOS 6.1.3 for iPhone 3GS or iPhone 4. It’s recommended that you take the official download route and save it for later use. Step 2: Download Sn0wbreeze 2.9.14 and launch it. Step 3: Select browse and search for the IPSW iOS 6.1.3 file downloaded in step 1. Step 4: Select next after sn0wbreeze identifies the file. Expert mode: baseband preservation, activates and jailbreaks. iFaith Mode: iOS custom firmware built and attaches it to the saved SHSH blobs. Simple Mode (mostly recommended): jailbreaks, hacktivates and preserves the baseband. Step 6: Select Yes when you’re asked that you want to hacktivate or otherwise and wait for the process to complete. Your desktop is going to display the custom firmware once the process ends. Before you go ahead and restore your device, the iPhone SHOULD BE PLACED into DFU mode through iREB. This makes it easy for the phone to accept custom firmware and bypass the error message displayed during restoration. iREB is located on sn0wbreeze’s menu bar and is available after the custom firmware is built. First of all, make sure you’re in DFU mode before restoring. The black screen stands for DFU mode. Next, open iTunes, tap shift on the computer keyboard and select restore. Choose the custom firmware that was made. The file name is going to be like sn0wbreeze_iPhone+xxxxx. Open Cydia and head over to Manage > Sources > Edit > Add: http://repo666.ultrasn0w.com. Locate ultrasn0w 1.2.8 and install it. Restart the phone but use iBooty to start iPhone as A4 and new 3GS phones have tethered. Step one: Take out the SIM tray and restart your device. Step two: Slide to unlock screen after it restarts. Switch off cell data and 3G (you can activate them later). Insert the SIM tray, the SIM card and Gevey SIM all together. Step three: Select Accept when prompted. Step four: No service is going to appear (a single signal bar may appear in iOS 4.x). Wait for a few seconds and dial 112 from your keypad and hang up after a couple of seconds. Step five: Toggle on Airplane Mode and wait for no SIM card installed prompt. Switch of Airplane Mode and SIM failure is going to be displayed but select OK and the network is going to be there. What if Ultrasn0w 1.2.8 or Gevey sim Unlock fails? Is there anything else you can do or this is the end? Well, there’s a factory unlock IMEI solution that works with all iOS firmwares such as iOS 6.1.3, 6.1.2 and 6.1 as well as all old and new basebands. The device even won’t have to be jailbroken. After you order the service, you just require to follow the on-screen instructions and you then get a mail, which has easy instructions. You’ll be able to use the phone on any network carrier and update the iOS firmware of the device to latest versions and do the same for basebands without requiring complicated tools. Get your iPhone Officially Unlocked NOW!